We would like to hear from anyone who has worked at Baines Everett, the railway, any local shops and schools, Fares Factory, GIC, or the health service. 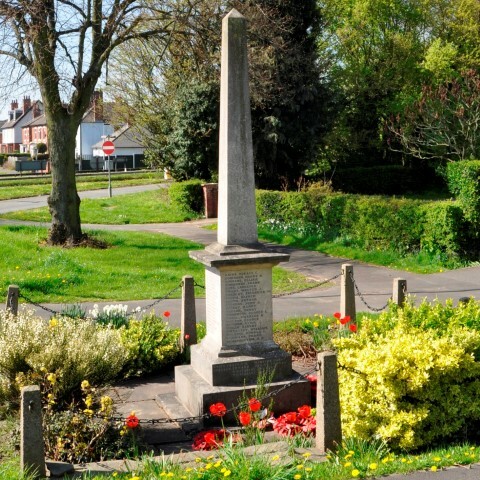 Please contact us with your memories of the First World War and its impact on the people of Borrowash. We would also like to record any stories of women’s lives, maternity, family, housing, and changing opportunities for women. The Unexamined Lives Project also aims to include the younger generations. Did you grow up in Borrowash in the 1980s or 1990s? What was it like for young people in this village then? Even if you don’t have stories to tell there plenty of opportunities to contribute to this project. We are looking for volunteers, especially people who are in the 6th form at school. Can you tell us more? Do you have letters/diaries/ anything else? Would you like to be interviewed? I HAVE IN MY POSSESSION THE FIRST WORLD WAR PAYBOOK OF ROBERT WILLIAM HEWLITT OTHERWISE KNOWN BY THE NAMES BOB OR BILL GREEN. HE WAS BORN IN 1890 ON GREEN LANE I BELIEVE, AND WAS FOSTERED BY A MRS A GREEN WHO APPEARED TO BE A MIDWIFE. HIS FATHER WAS ALSO CALLED ROBERT WILLIAM HEWLITT, HE WAS EMPLOYED AS A GROOM AGED 17 HE LATER SERVED IN THE LIVERPOOL CONSTABULARY. ROBERT WILLIAM JUNIOR SERVED IN WW1 AS GUNLAYER IN THE ROYAL GARRISON ARTILLERY WITH 245 SIEGE BATTERY. 245 SIEGE BATTERY WERE AT MESSINE RIDGE. I DO NOT KNOW IF ROBERT WAS THERE AT THE TIME OF THE MINES EXPLOSION. ROBERT WAS A GARDENER AND WORKED FOR BARRONS. WHEN I KNEW HIM HE LIVED AT 27 CHURCH STREET WHERE HE DIED. HIS PROBATE RECORD GIVES HIS NAME AS ROBERT WILLIAM HEWLITT OR HEWLETT OR BOB OR BILL GREEN. HE LEFT HIS ESTATE TO MY GRANDMOTHER SUSAN ANNIE RATCLIFFE WHO LIVED AT 31 CHURCH STREET. I BELIEVE HE WAS MY MOTHERS FATHER.BEATRICE EMMIE RATCLIFFE. SHE WENT TO INFANT AND PRIMARY SCHOOL IN OCKBROOK AND SPONDON HOUSE FOR SENIOR SCHOOL. SHE WORKED AT FARES FACTORY UNTIL SHE MARRIED AND MOVED TO SHELTON LOCK.